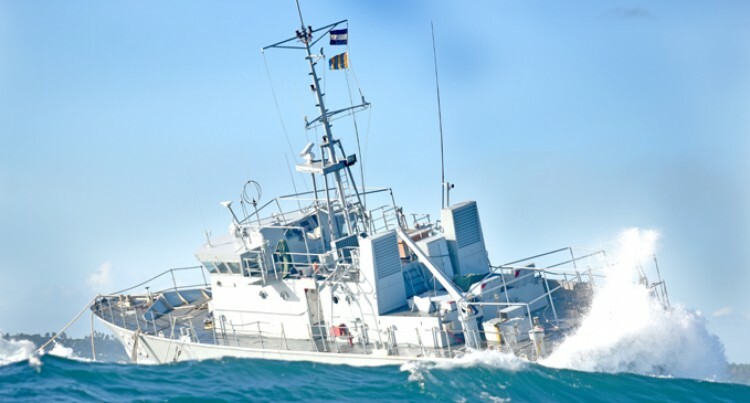 Royal Fiji Navy Ship (RFNS) Kiro run aground at Cakauyawa reef near Makuluva Island on Friday last week. Photo: RONALD KUMAR. Investigations on the Republic of Fiji Navy RFNS Kiro that ran aground on Cakauyawa Reef near Makuluva Island last month had been completed. Fiji Navy support commander, Commander Marika Vosawale confirmed this yesterday. However, he refused to release further details on the outcome of the investigations. “I cannot give you an update on the outcome of the investigation but can assure you that the Board of Inquiry (BOI) into the grounding of RFNS Kiro had been completed,” Commodore Vosawale said. He said works to salvage the RFNS Kiro would be an expensive operation for the Fiji Navy. “As reported by our assessment and damage control team on Kula some of the cracks that were identified had increased in length and width,” Commodore Vosawale said. He said the Fiji Navy was doing all its best to salvage the RFNS Kiro and they were optimistic to take the ship out of the reef. “Salvage work on the boat is very difficult and limited due to the weather and tides timing; work can only be carried out during low water.